There are clouds of smoke that have been billowing from the site, making the air in parts of St. Louis heavily polluted. In 2013, Missouri Attorney General Chris Koster sued Republic Services, the company responsible for the landfill, charging the company with neglecting the site and harming the local environment. 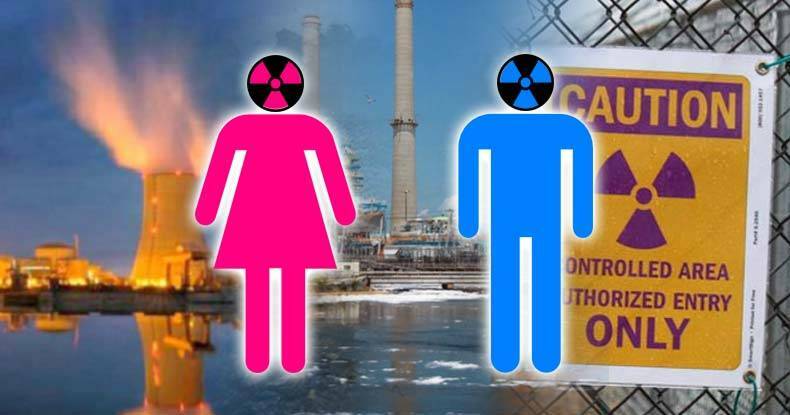 Last year, city officials became concerned that the fire may reach the nearby West Lake Landfill, which is littered with decades worth of nuclear waste from government projects and weapons manufacturing. Remnants from the Manhattan Project and the cold war have been stuffed there for generations. The site has been under the control of the Environmental Protection Agency (EPA) since 1990, but they have not made any significant effort to clean up the waste. Fifteen hundred miles north of the leaking reactors in Florida is the Indian Point nuclear power plant in New York. Since the beginning of this year, there’s been an uncontrollable radioactive flow from the Indian Point nuclear power plant continues leaking into groundwater, which leads to the Hudson River, raising the specter of a Fukushima-like disaster only 25 miles from New York City. According to a report by RT, Radiation and Public Health Project researchers compared the state and national cancer data from 1988-92 with three other five-year periods (1993-97, 1998-02, and 2003-07). The results, published in 2009, show the cancer rates going from 11 percent below the national average to 7 percent above in that timespan. Unexpected increases were detected in 19 out of 20 major types of cancer. Thyroid cancer registered the biggest increase, going from 13 percent below the national average to 51 percent above. Sadly, it seems, government officials care more about locking people in cages for possessing arbitrary substances than they do about the potential for nuclear environmental disasters. As multiple Fukushima-like scenarios continue to unfold across the country, the media, who is largely beholden to the special interests behind these disasters, remain mum. Instead of showing Americans the things that actually affect them, strawmen, red herrings, puppet politicians, and two-party talking points are shoved down our collective throats — and the majority of people are pacified. Until Americans change their preference for being lied to and stolen from, we can only expect more of the same.